The turquoise gemstone in this pendant has the busy, intricate veining known as "dragonskin" turquoise. 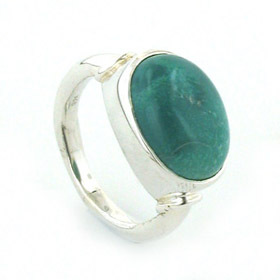 The veining is black and against the rich turquoise colour creates a beautiful piece of jewellery. 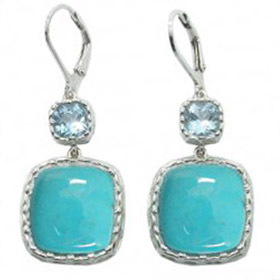 Perfectly set off in a chunky sterling silver frame, this gemstone makes a gorgeous turquoise pendant. 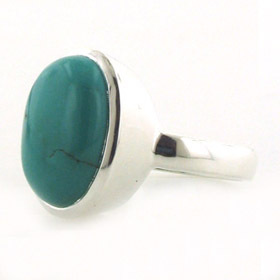 The pendant is open at the back exposing the underside of the turquoise stone. 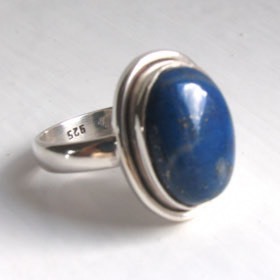 This is a substantial piece of turquoise jewellery. 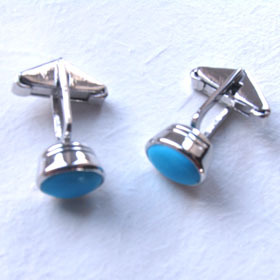 Only natural turquoise is used in our turquoise pendants. 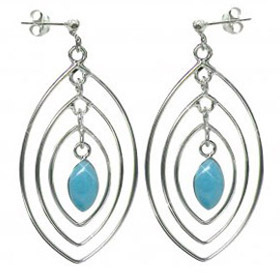 See our collection of Italian sterling silver chains. 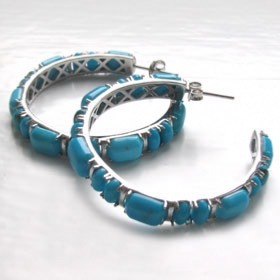 for the ideal chain to wear with this turquoise pendant. 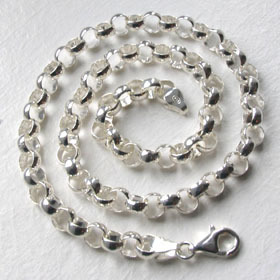 The chain featured is our 6.5mm silver belcher chain - see below.